The New York Post reports that 50 people associated with Italian-American groups protested de Blasio’s Advisory Commission on City Art, Monuments, and Markers outside of Columbus Circle near Central Park on Saturday for the panel’s decision to consider removing city monuments dedicated to Columbus. “He’s emboldened a kind of disrespect for our community,” protest organizer Phil Foglia, 65, said. De Blasio’s advisory commission, which held a meeting open to public comment Friday, is conducting a review of all city statues and will make recommendations on whether statues of controversial subjects should be removed or changed. 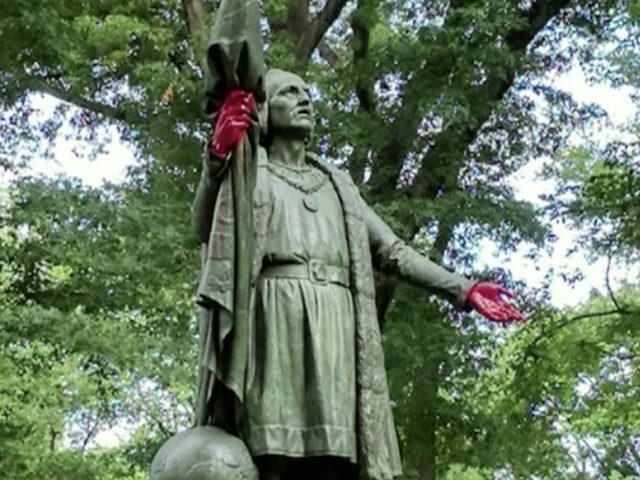 Protesters vandalized two statues of Columbus in New York City with “blood” paint and nail polish after de Blasio announced the formation of the panel. The mayor created the panel as a reaction to the protests in Charlottesville, Virginia, over the city’s decision to remove a statue of Confederate general Robert E. Lee.